College is often a time to discover personal talents and professional interests. There is no better time to test the waters than while earning an undergraduate degree, and Rebecca Robb is doing just that. 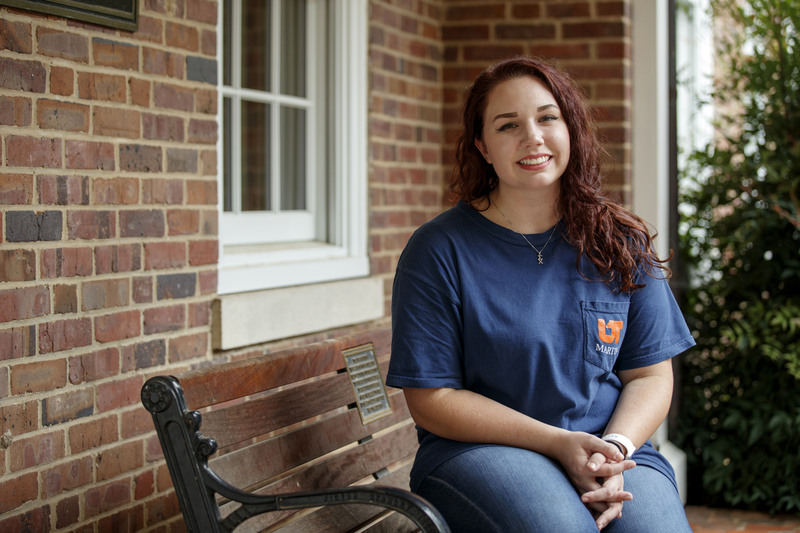 Robb, a junior at the University of Tennessee at Martin, is testing a little bit of everything to find where she may fit in the professional world. Robb started her college career with a major in education, but has since decided to study psychology instead, with minors in both French and German. Psychology is a major that can lead to a wide variety of professional options, and Robb is involved in many campus activities to help find her greatest passion. In addition to organizations related to her psychology major and language minors, she was also part of UT Martin's Tennessee Intercollegiate State Legislature delegation for the 2017 session. She and a fellow UT Martin student tried a case in the Appellate Mock Court challenge, and the UT Martin team's brief placed second in the statewide competition. "I learned a lot, and it helped with my fear of public speaking," she said. "I'm looking forward to attending the general assembly again this fall." Although participation in TISL is outside her major field area, Robb decided to branch out and decide if the legal field might be her calling. Regardless of how her post-graduate career plays out, Robb does know she wants to work with children in some capacity. As a member of UT Martin's prestigious University Scholars program, she has begun work on a two-year faculty-assisted research project that serves as an undergraduate thesis. She hopes her topic - the idea of mindfulness in learning - will help future educators bring students to their full learning potential. "Being mindful of something is bringing special attention to a certain thing," she explained. "I thought about doing a project where I have people read a paragraph, and I don't say anything and have them try to recall (information), and then I have another group read the same paragraph where I tell them to look for specific things (and compare their recall)." A similar type of test has already been studied by professors at Harvard, and Robb hopes to build on this foundation to see how such findings can be related back to the public education system. She recently took advantage of an opportunity to present her research idea during the Mid-South Psychology Conference at Christian Brothers University in Memphis, an accomplishment that will add one more undergraduate note to her academic resume. Sometimes it takes more than one try to find a person's true calling, and Robb is taking advantage of all the opportunities life at UT Martin has to offer. While she may not know her final career path yet, one thing is certain - when she leaves UT Martin, she will have a wealth of knowledge and experience from many areas, something that can only help her in the long run.